Earn $3.07 in Rewards credit. Click to learn more. Jagwire's Mountain Pro Brake Kit is perfect for mechanical disc brakes with Kevlar Reinforced Compressionless housing and Teflon coated brake cables. 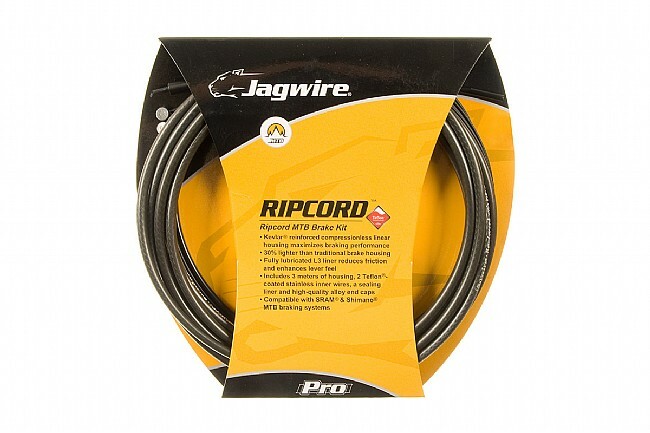 Replaces the popular Ripcord cable and housing set. Available in various colors. Heavy duty and easy to install ... what more can be said? Very good product and I would order it again. Hard to find an upgrade with this much of an improvement for your buck. Brake response with the compressionless housing is far better than with normal housing, even with normal levers.